Moses found this secret place. A place where He could experience God. In this place God made Himself real to Moses. Moses saw God. Moses knew God’s presence. The secret place is near to God. – ‘There is a place near me’ The secret place is found when we are near to God. 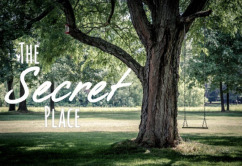 God wants us to experience His secret place. It is for each one of us. 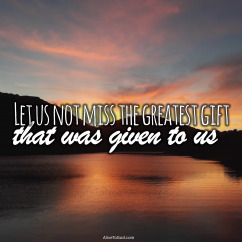 God wants us to know and enjoy His presence. Hebrews 3:15 But now is the time. Never forget the warning, “Today if you hear God’s voice speaking to you, do not harden your hearts against him. We must not harden our hearts. Hard hearts block us from the secret place that God has for us. God is calling you to the secret place in Him that is reserved for you. You are invited back to the secret place in God. Psalm 91:2-4 I will say of the LORD, “He is my refuge and my fortress, my God, in whom I trust.” Surely he will save you from the fowler’s snare and from the deadly pestilence. He will cover you with his feathers, and under his wings you will find refuge. Psalm 91:9-10 If you make the Most High your dwelling— even the LORD, who is my refuge— then no harm will befall you, no disaster will come near your tent. As we stay in the secret place we can have victory over sin in our lives. The secret place is a place of freedom. Freedom from evil and freedom from sin. The result of experiencing God in this real way is holiness. Holiness brings its own protection. 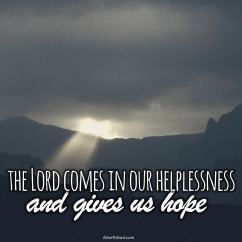 If God’s presence is a reality to us, this will result in holiness and in this way we will overcome the forces of darkness, which would like to destroy us.